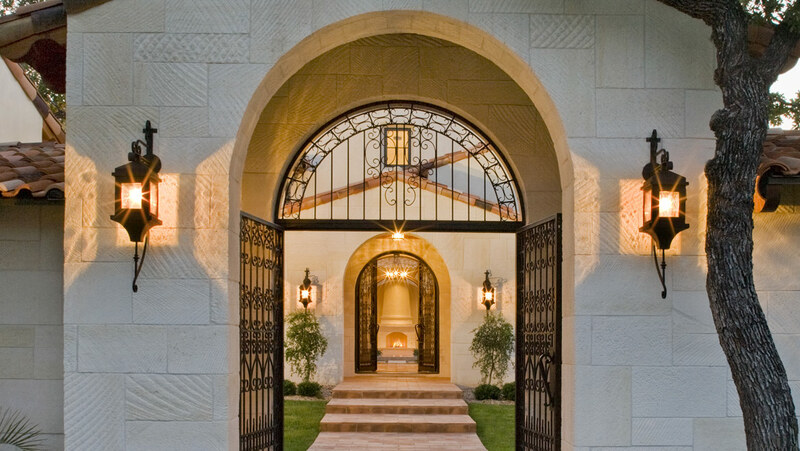 Marly Way pays homage to the vintage Santa Barbara style popularized in the 1920’s. This Joseph Volpe designed home has a unique layout that is in the shape of an E and orients entirely around a courtyard that features a 360 degree negative edge pool and spa. 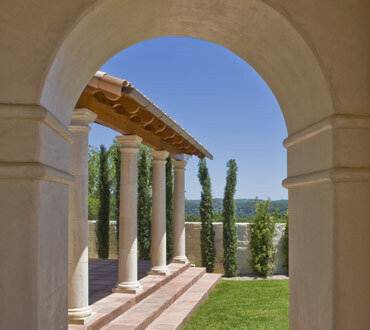 The private entry courtyard features a vine-covered trellis and is flanked by live oak trees surrounded by a circular stone wall. 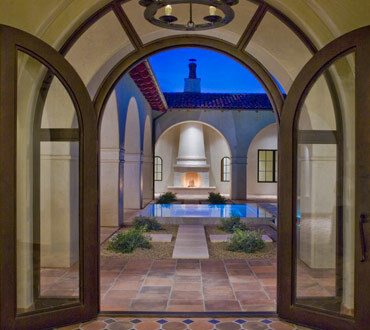 Upon entrance, a dramatic groin-vaulted gallery provides stunning views of courtyard and pool. 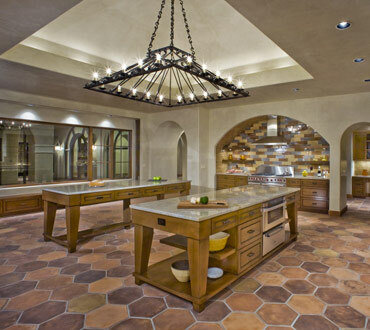 The kitchen includes a unique bóveda vaulted ceiling placed directly above the island.